Norm is a 30-year Army veteran with combat experience in South East Asia, Central America and the Middle East. He served his last 22 years in service with Delta Force (1st Special Forces Operational Detachment-Delta) and an additional 15 years as a Department of the Army Civilian Equipment Specialist working equipment acquisition for the Joint Special Operations Command. 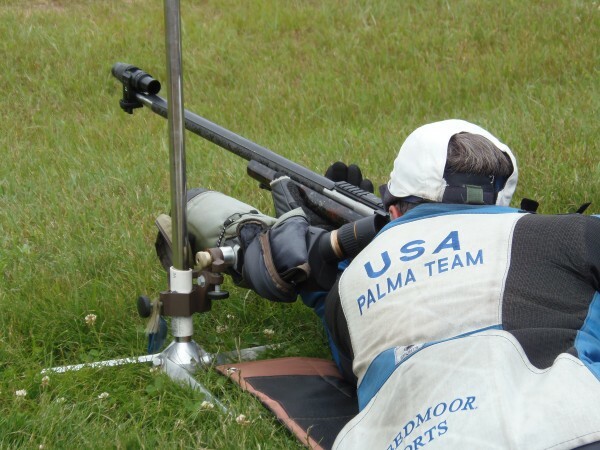 Norm has been competing in NRA mid and long range rifle competition since 1990, obtaining the NRA’s highest High Power Rifle qualification, High Master, in 1996. In 2003 he won the Wimbledon Cup during the Long Range National Championships and in 2005 he won the US Long Range Rifle National Championship. He has set or tied 5 national records, the High Service Member Palma Rifle Regional Course Record (800, 900 and 1,000 yard aggregate w/308 and iron sights), the 600 yard Fullbore Record (308 w/iron sights), the 1000 yard 4-Man Team Record, the Fullbore 300 yard Senior Record (308 w/iron sights), and in November 2015 he tied the 600 yard Any Gun Any Sight National Record with a PROOF Research carbon fiber-wrapped barrel. He has also won the North Carolina (5-time), South Carolina, Georgia, Ohio and Wisconsin State Long Range Rifle Championships. In 2014, he placed 8th overall and won the Senior Trophy during the Long Range Rifle National Championships using PROOF Research carbon fiber-wrapped barrels. I did not expect this barrel to stand up to 22-30 round strings of fire in 15-30 minute matches. However, this barrel has far exceeded my expectations. I’ve had as many as four consecutive perfect (20 shot) 200 scores with X counts over ten with iron sights and many scores at 1000 yards with both iron and optical sights in the high 190s with high X counts. In the fall of 2015 with just under 2000 rounds through it, I tied the NRA 600 yard optical sight record with a 200-19X and followed it up with a 200-18X. This barrel now has 2278 rounds through it and the last two strings I fired with it at 1000 yards were 199s with 10-11Xs. In comparison, the two stainless .284 Shehane barrels I shot out at 2000 and 1600 rounds. I took this barrel off last spring as I could not afford to trust it going into another match season. However, I plan to put it back on this fall and see how much longer it will shoot. Barrel #2 has 1000 rounds through it. The first three matches with it, all at 1000 yards, were 200-16X, 199-11X and 199-17X. I won or placed in the top three in several matches both last and this year. In June 2016, I finished third in the Ohio State Long Range Championships. An X, cross-fired on someone else’s target cost me a perfect score in that individual match and being the overall winner. Barrel #3 has just over 300 rounds through it. I used it along with one of my carbon fiber-wrapped .308s to take third place overall in the 2016, Midwest Palma Championships, second in the 3 X 1000 yard aggregate (got beat out by 4 Xs in this aggregate). Best of all I won the 1200 yard Championship Trophy with a 145-3X out of 150 possible. Barrel #4 has 2200 rounds through it. It was the one used to take third overall in the 2016, Midwest Palma Championships and that allowed me to make the 2015, US team (Veterans Team). Barrel #5 has 750 rounds through it and was the one I used on the 2015, US Team at the World Championships. Out of ~120+ record rounds fired during World Championships at 800, 900, and 1000 yards, all fired with iron sights, I had 3 elevation shots all of which I believe were my fault. All three were in the first match in the morning with visibility being poor. Barrels #2, #3, and #4 weigh 4 pounds 12 ounces versus 3 pounds plus for the Sendero taper barrel (#1) and have bigger diameter steel cores and less carbon fiber to get weight where I want it and still have the benefits from the carbon fiber wrapping. Barrel #1, Sendero taper, was too light for a match rifle even though it shoots phenomenally well. I had to add 1.5 pounds to the bottom of the stock to get it to balance and feel right. So bottom line, the “Proof” is in the performance. All of these barrels are capable of winning any match, providing I do my part. Don’t let a gunsmith taint a barrel before you ever put a round through it. Some, not all, will tell you they doubt it will shoot. It gives them an out if it doesn’t shoot; they can say they told you so. Case in point, a gunsmith once told me the barrel he put on my 1999 US Team Rifle would not shoot, called it a blunderbuss. It was one of the best .308 barrels I ever had. I missed tying the 600-yard iron sight National Record with it by one X (Score 200-18X). So let the barrel tell you if it will or won’t shoot.